The 2014 session is now well behind us and it’s time to review what progress was made on water issues in Olympia this year. Some political observers have described the 2014 legislative session as one of the least productive sessions on record. Strong differences between the House and Senate, combined with the fact that this was a “short” or 60 day session (and an election year), made it difficult for agreement to be reached on most topics. Nevertheless, legislators engaged in a vigorous debate on lots of issues, including water resources and water quality issues. CELP, working together with tribes and other environmental groups, helped lead efforts this session to defeat a number of bills that would have seriously impacted our waters. While there were fewer water resources related bills introduced than we have seen in subsequent years, the heated debate over rural development and exempt wells continued. Local governments, agricultural interests, and developers all supported legislation offered in the House (HB 2288) which would have stripped away authority from the Growth Hearings Board to oversee decisions by local government to permit rural development in areas where water supplies were scarce. This bill followed in the wake of the Board’s decision in Hirst v. Whatcom County, which affirmed and built upon prior court decisions holding that local governments have an obligation to ensure that water is legally available for new development before approving comprehensive plans or permitting new projects. Despite the Growth Management Act’s multiple directives that counties determine water availability before approving land use development, the proponents of HB 2288 argued that the Hearings Board had overstepped its bounds. CELP and tribal representatives opposed the bill and, thankfully, it did not advance. In the Senate, Senator Honeyford (R-Yakima) introduced SB 6467, which would have overturned a recent Washington Supreme Court decision, Swinomish Indian Tribal Community v. Ecology, which held that Ecology improperly authorized exempt well use despite clear evidence that the wells would deplete minimum instream flows for the Skagit River, adopted by rule. SB 6467, again, opposed by both CELP and the tribes, was also defeated. Several other bills were offered on the topic of local “water banking” in both the House and the Senate (HB 2760, HB 2596, and 6239). Water banks allow for new water users to purchase “credits” to offset the impact of their water usage in areas where new development would impact instream flows and other existing water rights. While CELP supports that approach generally, we were concerned that these bills might encourage local governments to move forward with water banks without having the technical expertise to properly assess the validity of the rights being banked and to conduct the trading properly. In the end, these bills also fell by the wayside. On the water quality side, five bills were introduced by the Cattlemen and the Farm Bureau in an attempt to strip away Department of Ecology’s authority to regulate “nonpoint” agricultural water quality problems. “Nonpoint” pollution refers to diffuse sources of pollution—such as cattle manure in streams they use for watering. 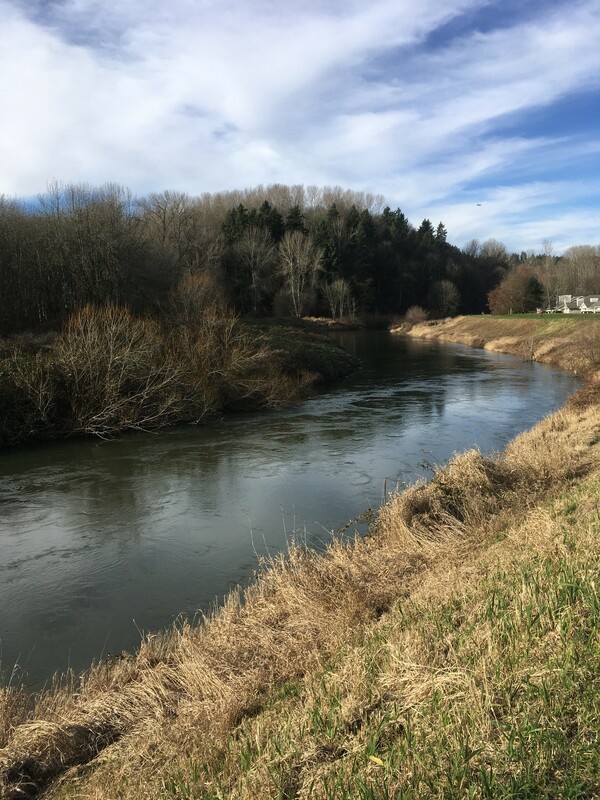 Once again, these bills were introduced in response to a recent Washington State Supreme Court decision, Lemire v. Ecology, which affirmed that Ecology had clear authority under state law to prevent farms from discharging pollution into the waters of the state. A variety of bills were introduced on this topic (SB 6087, 6288 and HB 2472, 2478) which would have either eliminated the agency’s authority outright or, in the alternative, placed many restrictions on their ability to exercise it. CELP working again with other environmental groups and tribes stopped these bills dead in their tracks. The discussion over this authority will continue this summer in a Water Quality and Agriculture working group created by Ecology Director Maia Bellon to discuss how water quality requirements will be enforced, among other topics. (CELP accepted Ecology’s invitation to l participate in the working group; there are only a handful of few environmental representatives on it). A fifth bill, HB 2454, allows an initial investigation of water quality trading. After considerable effort, CELP ensured that this bill was amended to our satisfaction. The bill is on the Governor’s desk awaiting his signature. The Legislature’s last order of business was approval of “supplemental” budgets. Since the state operates on a two year, “biennial budget,” the supplemental budgets adopted this year were, for the most part, “course corrections” amending the 2013-14 biennial budget adopted last year. For this reason, the debate lacked much of the drama we saw last year on the main budget. One area in which there was a great deal of controversy was the state Supplemental Capital Budget, which funds construction projects. This year, for the first time since 1996, the House and Senate could not come to agreement on a Capital Budget. Among other things, the collapse of negotiations on this budget sank efforts to create a legislative study group designed to develop recommendations on anticipated referendum to be introduced in 2015 to finance large scale water projects throughout the state. The legislative study group would have been charged with developing a multi-billion dollar revenue source to fund controversial water storage projects, such as those proposed for the Yakima Enhancement Project, as well as water projects that enjoy broad support, including those designed to address harm from stormwater runoff.